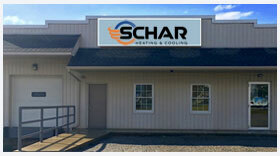 Schar Heating & Cooling, Inc. is proud to serve the Barberton/Norton community! About Barberton/Norton, OH - Happy to be your hometown Heating & Air Conditioning Contractor! The Barberton/Norton area is comprised of two commuter towns adjacent to Akron, Ohio. Both found in Summit County, Barberton has a population of 26,600, while Norton is home to another 12,100. The rapid population growth of the region has earned Barberton the title of “Magic City” in the past, but today, most residents travel into Akron for work. These two cities boast numerous amenities, including unique downtown shopping, restaurants, and other noteworthy destinations. The Magical Theatre Company is one of only six resident children’s theaters in the U.S., and the Lake 8 Movie Theater offers RealD 3D new releases. There are approximately 20 parks between the two communities, so there is no shortage of outdoor space for residents who want to spend some time in the sun. Community traditions are also popular in the area. Each year, the City of Norton hosts its Apple Cider Festival, which includes attractions, crafts, fireworks, and a parade. Previously known as Octoberfest, the event was renamed in 1989 and is now held each year at the Columbia Woods Park Complex. The Barberton/Norton region offers four seasons with distinct weather conditions throughout the year. This begins with a cold and potentially snowy winter. Found just south of the Snow Belt, the region receives an average of 48 inches of snow per year. Freezing temperatures, sleet, and icing can make travel conditions dangerous, so it is important to have an efficient climate control system at home. A gas or electric furnace is a necessity to make it through the season safely. During the spring and summer months, outdoor recreation is popular, but in July and August, temperatures can reach well into the 90s. These conditions are typical of a humid continental climate, and residents may wish to retreat indoors on the muggiest days. An Energy Star central air conditioner will help residents to beat the heat, and they’ll also improve indoor air quality.